You can choose between participating in a cooking class or just watch and learn. You will have the chance to visit a local market and buy your products in order to prepare yourself. Once back at home, you can easily repeat this recipe. 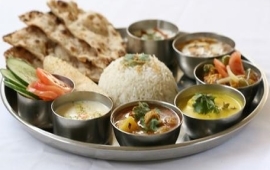 This is an excellent introduction to the discovery of Indian food combined with all its spices. You will also learn about the eating habits of the local population. Henna which is applied on the hands or feet of women, is very popular in India. 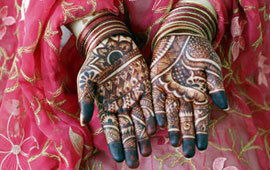 Among the different types of henna available in India, the one in Rajasthan is one which is the most popular. 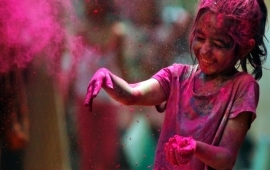 It is prepared by grinding the dried leaves of henna into a fine powder which then mixed with water to obtain a paste. This paste is then applied to the hands and feet with sticks or cones, forming beautiful arabesques. Once henna is dry, it is removed and beautiful designs in red appear on the skin. In Rajasthan, we practice henna ceremony for almost every occasion with different patterns each time because it is considered very auspicious. Ayurveda is a wisdom and medicine originated in India and practiced in other parts of the world as non-conventional medicine. In Sanskrit, the word Ayurveda is a combination of the words 'Ayur' meaning life and 'veda' which means knowledge. This is not only a therapeutic practice, but it is also a philosophy and a way of life. 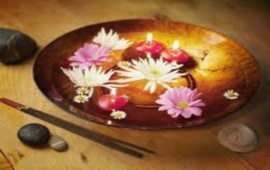 Ayurveda creates a harmonious universe for the patient. We offer several Ayurveda formula and stays during which you can rebalance your energy physically, mentally and spiritually. Dance and music are definitely the favorite arts of the Indians, who have transmitted them for centuries from the masters to the disciples and are still alive and evolving. Prior to a show, Indian dance is a ritual act. The artist fills in all cases as an intermediary between man and gods. Attend a music show, often accompanied by dance or a puppet show or attend a dance class is an unforgettable experience. Attend a music concert, a dance or puppet show. Each experience is unforgettable. Born in India over thousands of years, yoga is considered a way of life for the better harmony of the individual based on interview techniques of body and mind. Defined as a discipline and designed by meditation and / or physical exercises to achieve the unification of the being in its physical, psychic and spiritual, yoga aims to be accessible to everyone. Feel free to make your stay in India for a yoga session.